I liked the way these patterns played off each other. It made otherwise classic pieces feel fresh and playful. In other news, I'm a happy camper because tomorrow kicks off the weekend, a short work week and then food, family and fun! This outfit looks so amazing with your haircut! I love that blazer, and how you sass up that checkered dress!! Have a happy holiday with your friends and family! Ooh, and delicious food! :) <3 Safe travels! Your blazer is oh-so gorgeous! <3 The print and cut are perfection, and show off your amazing hair cut even more! This! Is my favorite. Ever! You look fabulous and I absolutely love this look. Great combinations at work here!!! I reallyyyyyy like this look! Love the unexpected print combo! Ooo the patterns in this outfit look very cool with one another. 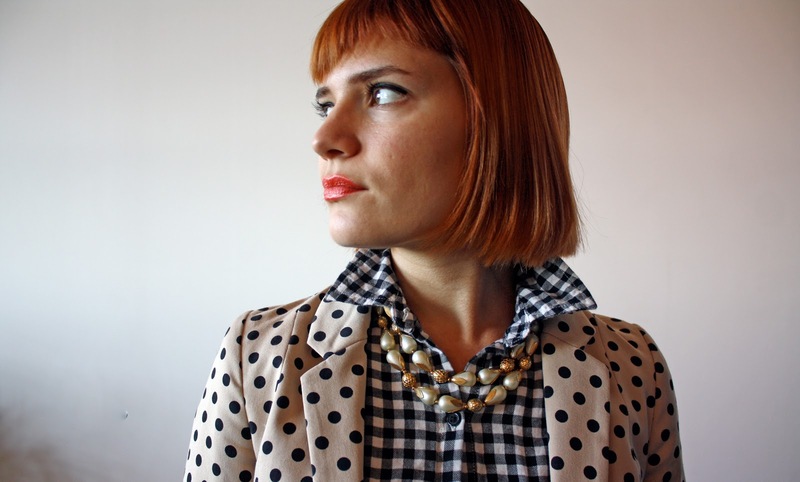 I very much enjoy that polka dot blazer. Looove thos dress. Pretty. pretty! You look adorable. The polkadots are so fun and playful. Enjoy your weekend! Love the pattern mixing, and your boots are adorable. that blazer is amazing! and i love the mix of patterns. have a lovely weekend! I love this! Super cute AND super chic! I'm going to go ahead and say Best dress EVER. Gingham, button up and long sleeved? I'm kind of jealous!! The print mixing here is so amazing too, I absolutely love it! I love this mix of patterns. The dots on check looks too good. love loooove the pattern mix you've got going on here! Hello, I found you through What I Wore and I love your style! Mixing patterns is so much fun, and you make it look easy with this outfit. 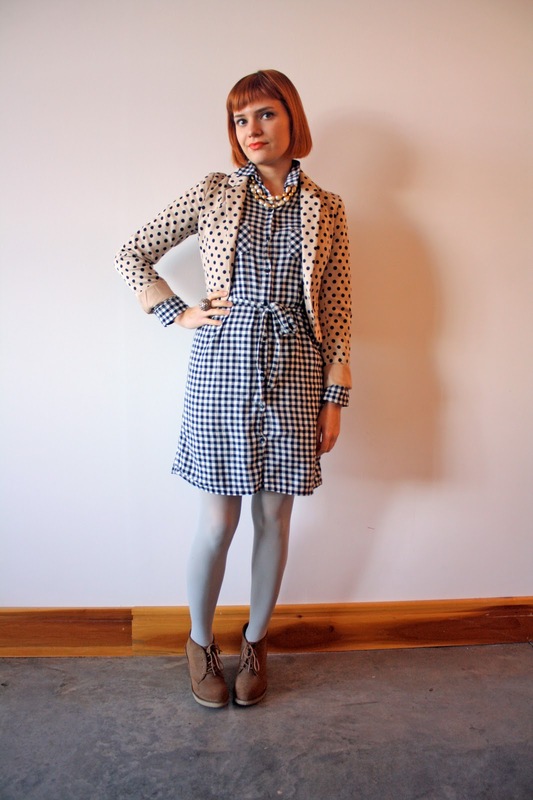 conventional wisdom regarding gingham/polka-dot combination has been exploded!